Your dog seemed just fine a little while ago, and now all of a sudden you have a dog drooling excessively. Think back to what your dog has done since they were fine and now you have a dog drooling excessively. This will help give you clues as to what could have happened. A dog drooling excessively can quickly happen. Were they recently outside? Have they been around houseplants, outdoor landscaping or medications? Are they having problems eating or crying by their food bowls? Let’s take a look at 3 common reasons why my dog is drooling excessively. Young dogs especially seem fascinated by toads, but really any dog might decide that the little guy hopping around looks like something that they should catch. All toads secrete mucus through their skin that’s noxious and causes strings of saliva to spill out of a dog’s mouth. As long as it isn’t a poisonous toad, your dog should be fine eventually. The Colorado River Toad is poisonous. What To Do: If your dog had a toad in its mouth, immediately rinse his mouth with water. Don’t wait for him to start drooling. Use a garden hose or sprayer from the sink and run water into his mouth for at least 3 to 5 minutes. There are 2 toads found in the United States that are actually poisonous. 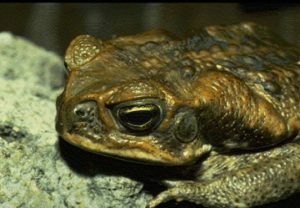 The Colorado River Toad, also known as the Sonoran Toad and the Marine Toad, also known as the Cane Toad or Giant Toad. The Colorado River Toad is found in Southern Arizona, Southern California and Southern New Mexico. This toad has small red spots on their backs and are about 7 1/2″ long. They are most often found in the desert after it rains. The Marine Toad is found in Florida, Hawaii and Southern Texas. 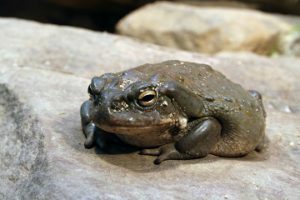 This toad is very large and is the most common culprit when it comes to toad poisonings. They can grow up to 9 1/2″ long, have cream spots on their brown skin and flatter heads and bodies than most toads. They are typically found near water sources. Toad poisoning is a medical emergency. Don’t mess around with this one. Once you have rinsed your dog’s mouth out with water, you immediately need to get your dog to the veterinarian. Watch for signs of shock. Toad poisoning can quickly put your dog into shock. Glazed eyes, pale gums or your dog collapsing are all signs of shock. Rub Karo syrup or honey on your dog’s gums on the way to the veterinarian. It will be absorbed through the skin and can help stabilize his blood sugar levels. Raise your dog’s head. It will help him breathe more easily and prevent him from choking if he vomits. There are many things that a dog can get into in or around your home that can cause poisoning to them. Often times the effect you are going to see is your dog drooling excessively. It isn’t just food or cleaners that can poison your dog. There are many household plants and landscaping plants that are toxic to your dog. 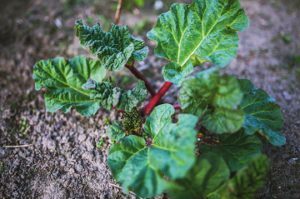 Here is a list of household things and plants that could poison your dog and cause excessive drooling. If you believe that your dog has ingested any of the above items, you need to immediately contact your veterinarian and get your dog medical treatment. Some of these items can be fatal. Many common plants are toxic to dogs and cause excessive drooling. Mouth sores are more common for older dogs who might have other illnesses such as kidney disease or diabetes. Dental disease can also be a reason for causing mouth sores, both of which can cause your dog to excessively drool. Proper dental care is essential to keeping your dog healthy and preventing mouth sores. Tips for cleaning your dog’s teeth can be helpful if this is something that you struggle with. Also, if you have a dog that is hard to keep still for a teeth cleaning, you might want to consider using an ultrasound toothbrush for your dog. Mouth sores will often times cause dogs to drool or paw at their mouths. They may refuse to eat because it hurts too much, and they may sit in front of their bowls and cry. Mouth sores need medical attention to treat the underlying cause of the problem, and are extremely painful for your dog. 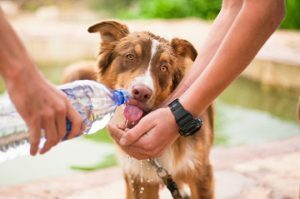 There is some first aid that you can provide to relieve the pain and keep your dog eating, but you should seek treatment from your veterinarian as well. Give A Topical Treatment: Using an over-the-counter pain reliever like Anbesol is a great way to reduce your dog’s pain. Dip a cotton swab and dab it directly on the sores in your dog’s mouth. This is perfectly safe to use on your dog for a day or two. Give your dog crushed ice. Dogs generally like ice and it will provide some relief. You can also rinse your dog’s mouth with a saline solution to help speed up the healing. This will keep the mouth clean and promote healing. Nolvadent for dogs is a great one to use. It works at preventing infections but also has a numbing effect and helps relieve mouth pain. Another product that you could use on mouth sores is an over-the-counter product that contains lidocaine. This is a topical anesthetic that deadens feeling. Solarcaine for humans, works well. Apply Solarcaine to a cotton swab and dab it on the mouth sores for temporary relief. If your dog has mouth sores and they are causing them to drool, you can use the recommendations above to provide some temporary relief for your dog, but you need to take your dog to your veterinarian to figure out the root cause of the problem. There are several reasons why your dog is drooling excessively. You need to do the detective work to figure out which is the reason your dog is drooling uncontrollably so you know how to help them. Quickly rinse your dog’s mouth with water if they caught a toad. Many of the reasons might not be a life or death emergency, but some could. Knowing how to handle each situation ahead of time, will help you react accordingly and give your dog the best chance for quickly ending that excessive drooling. Remember, you might not be able to handle this on your own. At the very least, a call to your veterinarian is a good idea, so they can let you know if your dog will need further medical attention. If you have any questions or comments, please leave them below. 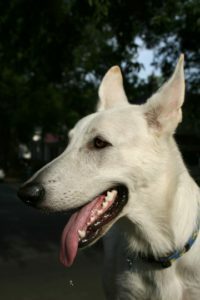 You can follow justforyourdog.com on Pinterest, FaceBook or Twitter for all the latest updates for keeping your dog happy, healthy and safe.